Red Wins the Inaugural NBBA Summer Rec League! 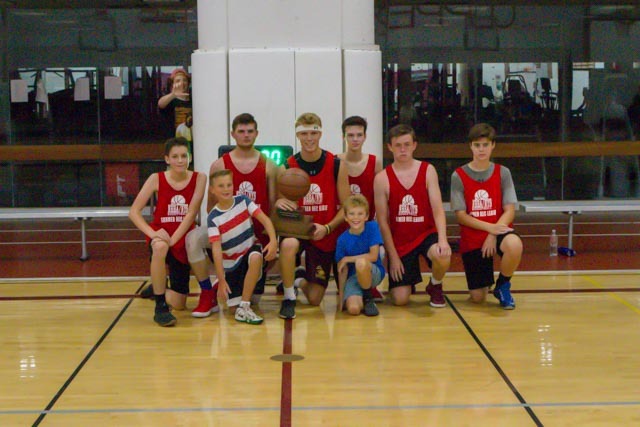 The undefeated Red team capped their perfect season by beating the Black team 61–49 in Wednesday night's title game. Finals co-MVPs Michael O'Donnell and Tyler Callaghan lead the Red team, as they pulled away after a close first quarter. Captain Harry Blackman paced the Black team with 18 points in the defeat. Thanks to all of the players and fans who participated in the supported the Summer Rec League. Registration for the winter league will open in early December.